San Antonio Top Limo is the premier luxury car and SUV service in San Antonio. We also serve the surrounding areas including Stone Oak, Fair Oaks Ranch, Boerne, Helotes, Converse and Leon Valley. We offer stretch, SUV, and Hummer limos as well as luxury sedans and SUVs. we will match or beat our san antonio service competitors that are licensed. If you are looking for the best San Antonio limo service, give us a call today for our cheap limos pricing! We will match or beat most of our competitors! Are you looking for a stretch, Hummer, SUV limo, luxury sedan, or party bus? We offer affordable services for your party, special event, wedding, corporate event or any other occasion. San Antonio Top Limo has all your transportation and luxury sedan needs covered. We offer first class VIP treatment for you and your guests and we take pride in arriving on time. Wherever your journey takes you, we have a ride for you! Looking for that extra special arrival in a Hummer limousine... You know the one that turns heads when you step out for your prom, graduation, bachelor or bachelorette party or just a night on the town with your entourage of friends? We've got 14 passenger Hummers and we have a huge, Texas-size 22 passenger Hummer that will amaze and delight all your guests and turn heads when you drive up in our fabulous, jet black Hummer. ​Ready to rock the house and party all night long in a Hummer? Give us a call and we will hook you up so you can impress your family and friends while you roll in crazy style in one of our Hummer limousines. We know you have options when looking for the best transportation service in San Antonio. We take pride in our customer service and believe that once you use our luxury stretch car service, Hummer limousine service, SUV limo service or sedan service, you will become a lifetime customer. We specialize in offering the premiere transportation service in San Antonio while also serving our clients in Fair Oaks, Boerne, Helotes and all the surrounding areas. Give us a call today and let us show you why we are San Antonio Top Limo. Are you looking for a stretch to take you to the San Antonio Spurs game from Boerne, TX? We have you covered. 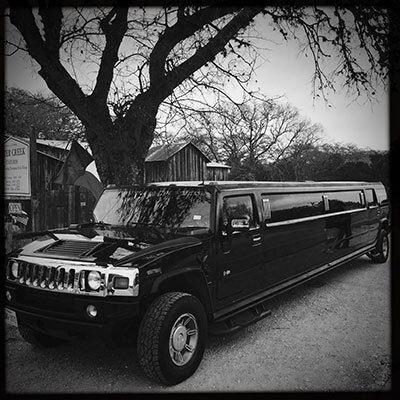 Need a Hummer limousine for a wine tasting tour in the Texas Hill Country? We have a Texas-size Hummer that seats up to 22 passengers for your wine tasting adventure. If you are in need of any limousine service in Boerne, TX, our team has you covered. Nestled just outside San Antonio, Fair Oaks Ranch, Texas, is a growing community that enjoys the San Antonio nightlife while living life a little slower with the stars brightly lit above. If you need Fair Oaks limousine service, we you covered. Get your family and friends together to enjoy a night in downtown San Antonio and we will make sure you roll in style and comfort. From Hummer to stretch and everything in between, San Antonio Top Limo will take care of the driving and so you can sit back and relax... or get the party started. Stone Oak is a unique part of San Antonio. Just on the outskirts and getting into the Texas Hill Country, Stone Oak is a growing area of San Antonio. San Antonio Top Limo will pick you up in the Stone Oak area and drive you to your destination in luxury. Our Stone Oak service is unmatched in quality and comfort. We offer black stretch, 14 and 22 passenger Hummer limousines, party buses, SUVs, and luxury sedans. Our cars are elegant. We offer luxurious transportation in San Antonio to provide the VIP experience you deserve. Professional Chauffeurs. Our drivers are top-notch and on time to provide you with an incredible experience. 24/7 Rental Reservations. Simple. Easy. And fast reservations. Just fill out our quote form and we'll handle the rest. Accommodate ANY need you have. Simply tell us what you need. It doesn't matter the time of day or your destination, we will make it happen. Rock Star Treatment. You're the star and we are here to provide you with the ultimate VIP experience. Super Clean And Sleek. Our cars stand out and so will you. Luxurious leather that you sink into and that fantastic new leather smell. Curb To Curb Pampering. Our professional chauffeurs will handle your luggage, greet you with a door opening and take care of all your needs. On time, every time. We provide a worry free VIP experience. Our drivers and staff monitor traffic, airline flight schedules and any road construction to get you to your destination early. Your Safety Is Our Priority. Our drivers are trained and certified to offer the best safety for you and your guests. Party In Style - Heading out for a night on the town, celebrating a bachelor or bachelorette party, living it up for a birthday party? Whatever you are celebrating, San Antonio Top Limo will let you take your party all over San Antonio in style. We provide professional chauffeurs to make your night memorable and safe. Wedding Day Luxury - We offer luxurious black stretch limousines to make your special day even more memorable. Our drivers will get you to the venues on time and without any worries. Your wedding pictures will really pop with a black car in the background! Business Travel - We can't promise you'll close every deal, but you will sure make a fantastic impression on your business guests picking them up in one of our limos. We can deliver a top experience to get your business guests impressed and ready to talk. 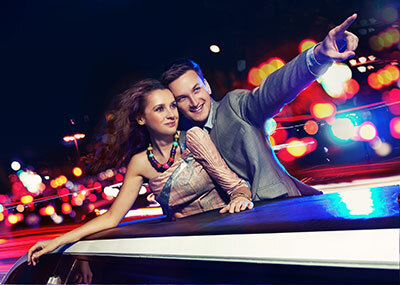 Anniversary Elegance - Surprise your special someone with a limo to celebrate your special day and ride in luxury while you dine out and remember that fabulous day. Concert Fun - Step into one of our classics and feel like the stars you are going to listen to! 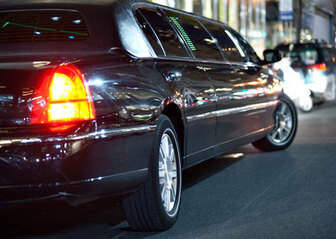 We can pick you up and get you to the concert in style while you have a few drinks and kick back before the concert. We have an incredible fleet for any special event or occasion. You can find pictures of our fleet and additional information on our San Antonio limousine fleet page. San Antonio Top Limo serves San Antonio, Stone Oak, Boerne, Fair Oaks Ranch, Helotes, Leon Valley, Universal City, New Braunfels, San Marcos and surrounding areas. As a premiere limousine service in San Antonio, we offer the most luxurious limos for affordable prices in South Texas. Call us today at 210-585-2530 for San Antonio limo services.